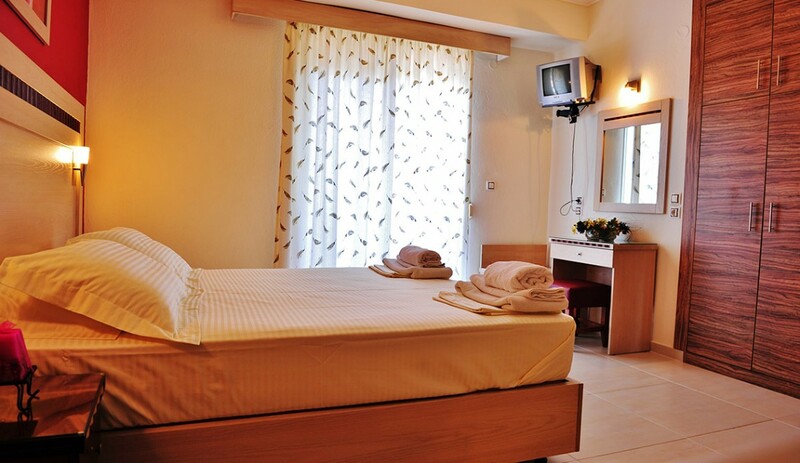 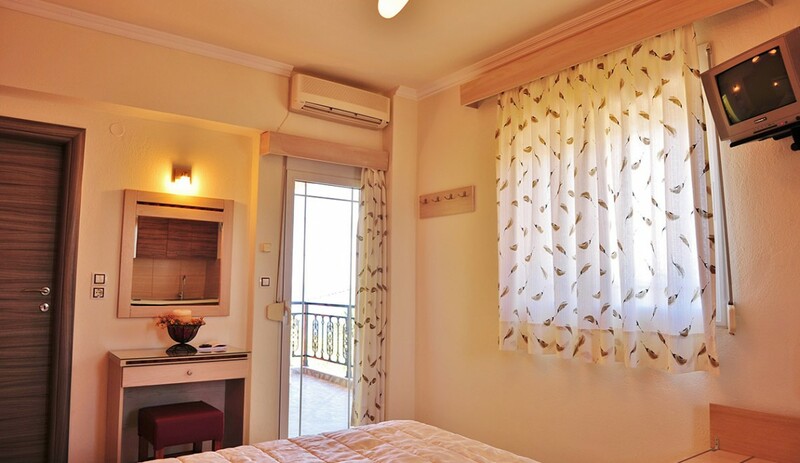 Each Studio is on upstairs floor (2nd floor) with panoramic sea view. 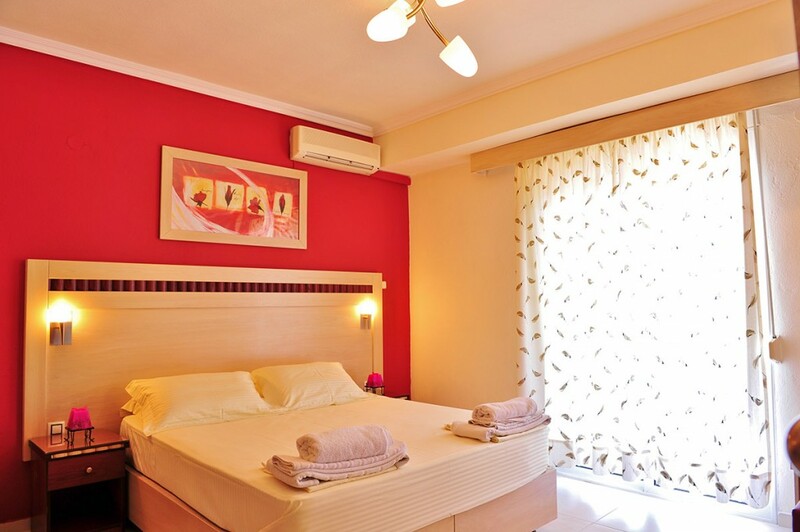 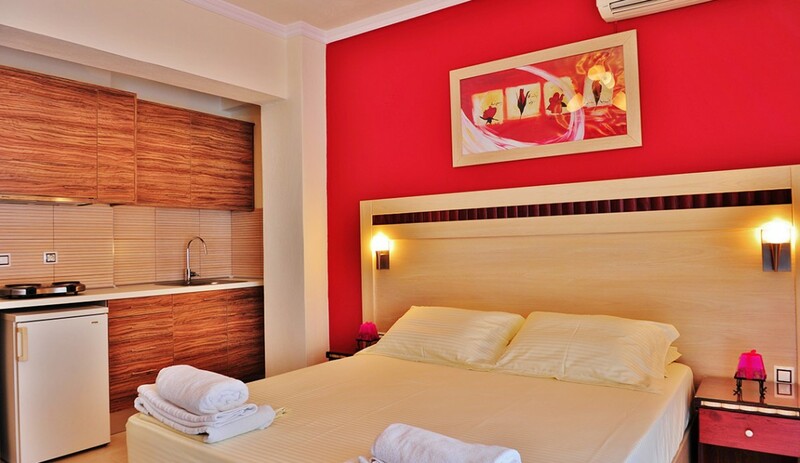 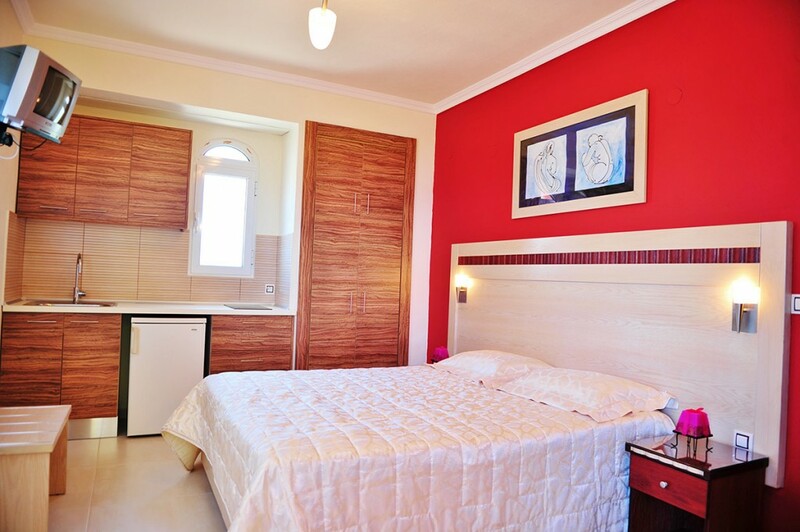 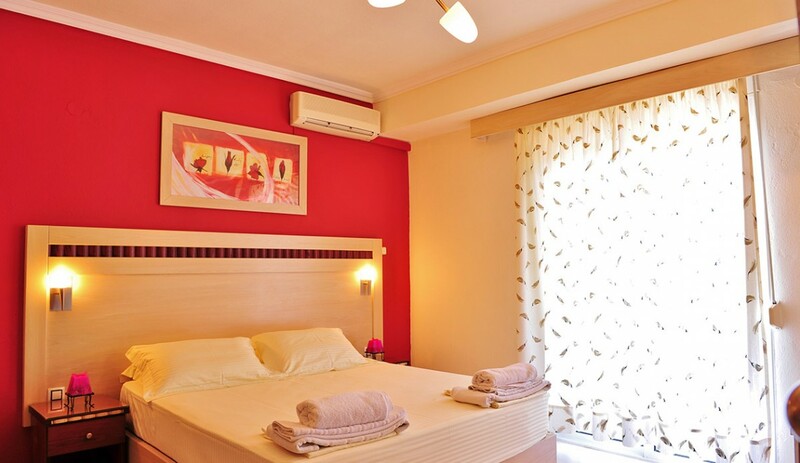 Each of our studios includes one bedroom with a big double bed (queen size) with a specially anatomic mattress with the possibility of fitting also a smaller folding bed suitable for a child up to 10 years old or a baby’s playpen. 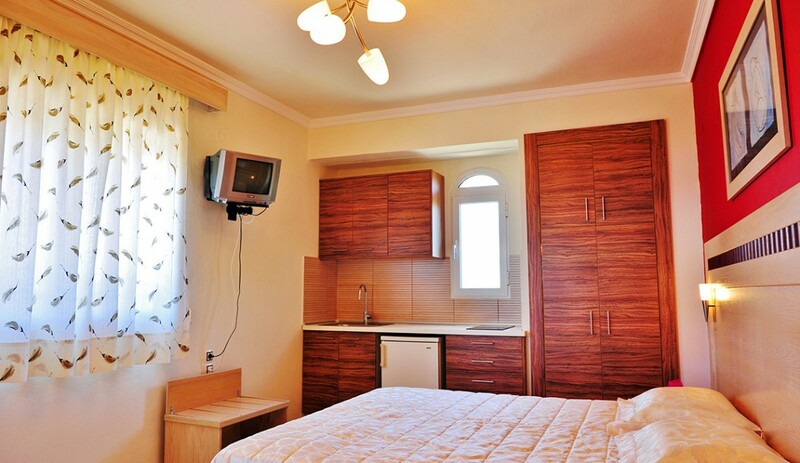 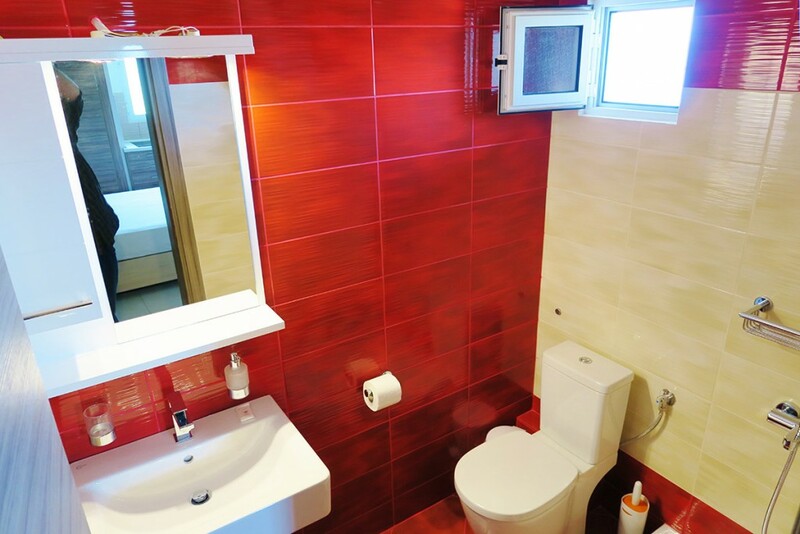 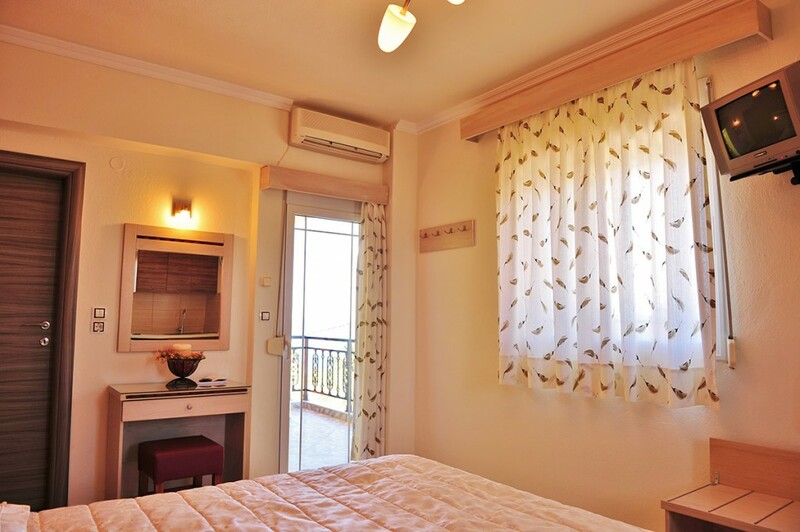 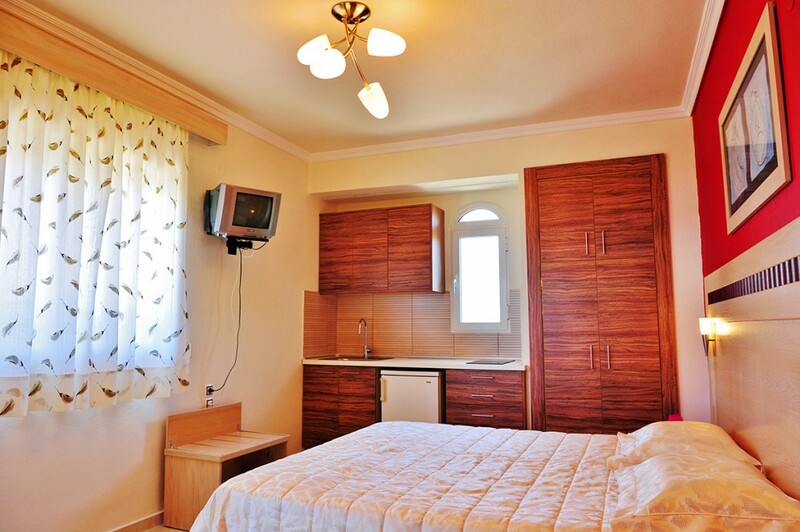 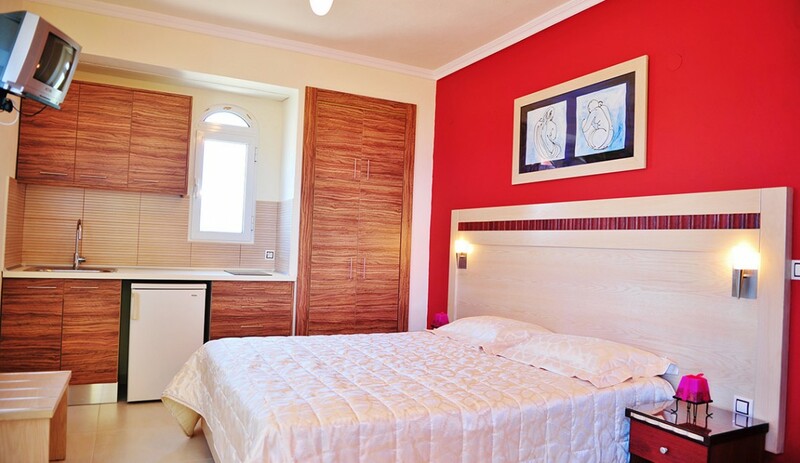 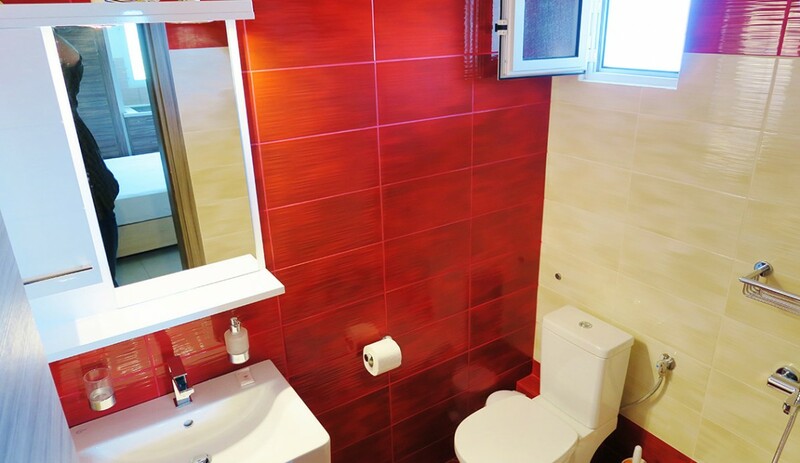 In the same area there are an equipped kitchenette with all necessary cooking utensils, a fridge, electric hot-plates for cooking, a 22″ LCD TV set, air-conditioning(A/C), a safe box, a modern bathroom and a balcony with panoramic sea view.